~ by Kamal Dollah on May 14, 2014. Could you make a caricature of my friend Eric, picture attached. He is Swiss, and it is his 50th birthday and his friends are taking him to Bali to go scuba diving…anything you can do to bring out that random mix of themes would be great! He is also has a bit of gut, so the guys would like that in as well…. 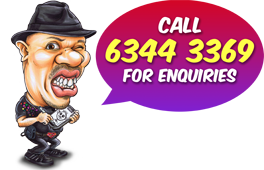 In addition to the caricature, the clients have requested to add a message “50 in Paradise” to the artwork. 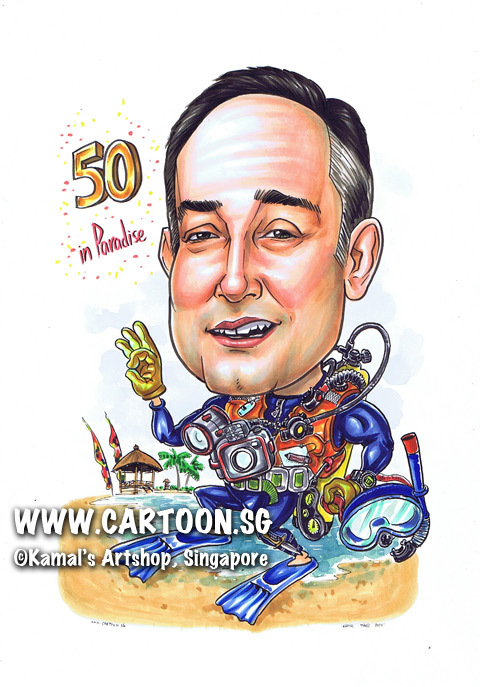 Birthday Caricature Gift For Ducati Riding Boss At 50.